VoiceMailTel’s Local Numbers allow you to receive unlimited local calls for a flat-rate monthly fee, a low cost solution to long distance calling! VoiceMailTel offers Local Numbers in over 90 area codes, so now you can enjoy flat-rate local calling anywhere in Canada and the USA. VoiceMailTel’s Local Numbers extend your local calling area as your business grows. Stay in touch locally, keep your telephone bill reasonable, save money! People gravitate around local businesses. Using a local number helps you to become part of the local community. Create a local appearance anywhere in Canada and the USA with VoiceMailTel Local Numbers. Integrate your business in multiple local communities. Your Local Number comes with many features including free voicemail, custom music on hold, Auto Attendant, or Caller ID. With VoiceMailTel you always get more than a simple local number. 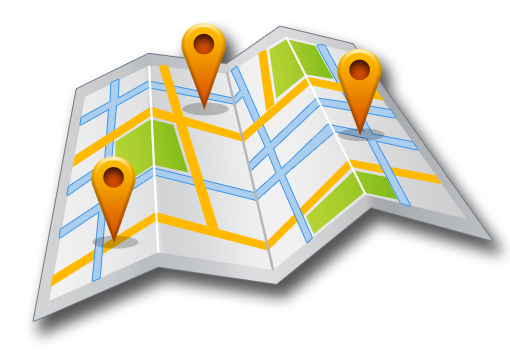 If your business already has an established local number, we can add it to our service by local number portability. Keep using your current printed marketing materials. Keep it simple for your customers. Don’t wait for the tech department to set up your local number, you can do it yourself. It’s that simple with VoiceMailTel! Ask for a call-back to get more information about local number portability! Many companies have clients who prefer to deal with businesses in their own area. Using a local number as your primary business number makes a statement that you are part of the local community. VoiceMailTel’s Local Numbers feature extends your local calling area, giving you the freedom to make unlimited local calls within a specific area for a flat monthly fee. With VoiceMailTel’s Local Numbers, customers across Canada and the USA can reach you by dialing a local number. You look and act as a business in their own community. How do Local Numbers work? With VoiceMailTel’s Local Numbers, you can have phone numbers in over 90 area codes across Canada and the USA. You can keep your current local number by porting it to VoiceMailTel. Customers in your area call your local number. Customers don’t worry about long-distance charges or reaching call centres in unknown destinations. You get a flat-rate local fee. You act and look local. Can I use my existing local phone number? Yes. At VoiceMailTel we offer local number portability so you can continue to use your current phone number (local or toll-free). Can I have more than one Local Number? Yes, VoiceMailTel provides Local Numbers for over 90 area codes across the USA and Canada. Will a VoiceMailTel local number allow me to handle more calls at the same time? The number of calls your local number can handle is a function of your incoming/outgoing channel capacity. Contact us Today to find out more about VoiceMailTel’s Local Numbers.